Do you sell products with product options like sizes, liters or m2? Are you tracking the stock? 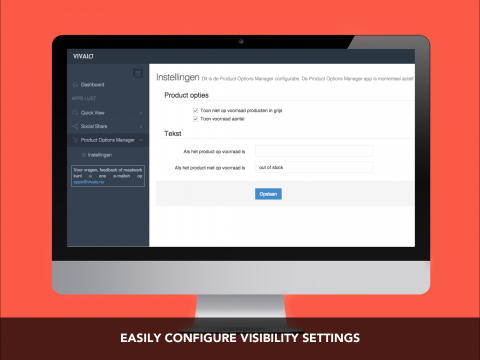 Well, then you have probably noticed that by default all product options are displayed on the productpage. Even the out of stock product options. To see the stock availiblity of all product options you would have to select each individual product option. 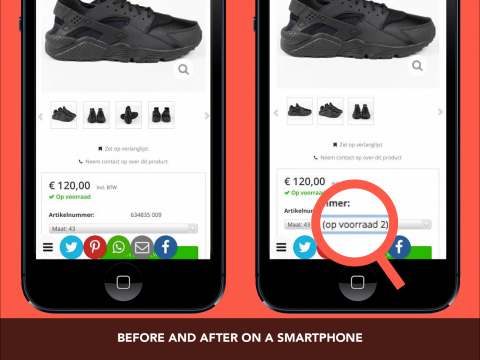 This costs time and it will eventually damage the customer experience which will lead to a decrease in conversion rate. 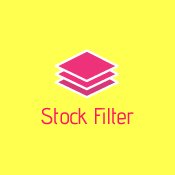 The Stock Filter will solve all these problems and enable you to choose how to display the product options on the product page. Customize the settings to your needs and increase the customer satisfaction. Save time and money and choose for the Stock Filter instead of expensive custom development. Questions? Contact us via [email protected] Click here to read the documentation.